Red Acre Cottage is located on a scenic ridge less than five miles from the center of Rochester, Vermont. We think you'll find Rochester to be charming, cheerful, and very much alive. While many small towns in America are going the way of the dinosaur, Rochester is a vibrant and thriving community. 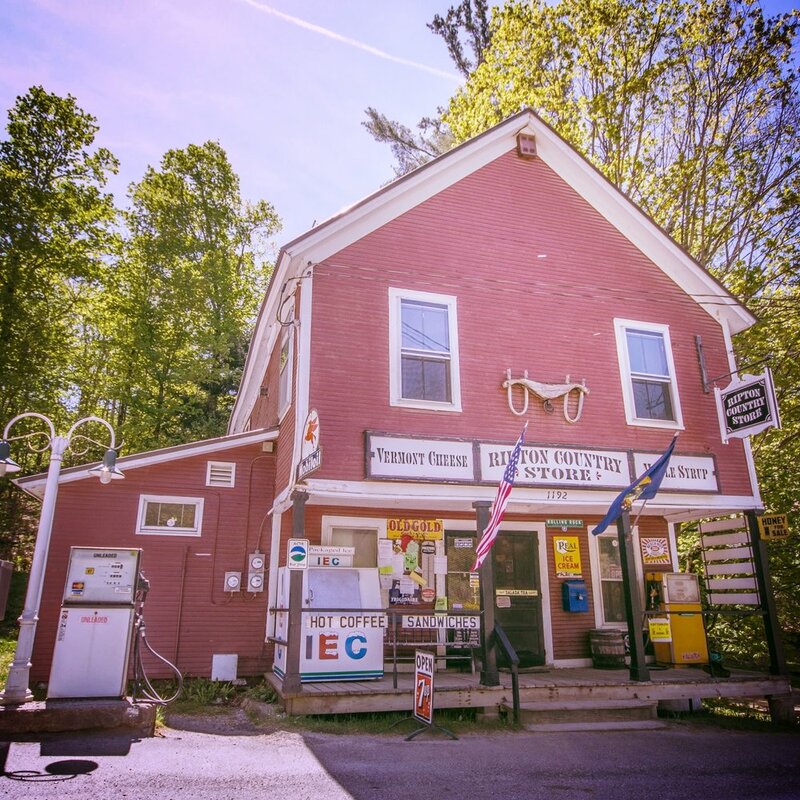 The handsome town square is anchored by an old-fashioned gazebo and surrounded by historic New England homes, the town library, a church, and a hotel and tavern. A stroll along the main street reveals art galleries, restaurants, antiques, bikes, coffee, groceries, and a bank. Local and visitor alike gather here regularly for the Summer Concert Series, Harvest Fair, Winterfest, and the Farmers' Market. However you choose to spend your time in Rochester, you are sure to encounter warmth and welcome! Don't let the bucolic agrarian valley and the majestic mountains fool you. There is some damn good food in these parts. We'll try and break it down for you a bit in this section, but it's a work in progress. I assure you, I will personally be handling the research to ensure you the best information on all matters culinary. I wouldn't trust this work to just anyone. Save this bunch for a rainy day. There are scores of boutiques, unique artisans, antique shops and art galleries scattered around this section of the Green Mountains. Fine craft beverages abound in Vermont! Check out Prohibition Pig in Waterbury and the Alchemist Brewery, home of the famous Heady Topper, in Stowe. Whether you’re looking for farm-fresh cheese, eggs, and meat, or just have to pick up some last-minute picnic fixings, you'll find everything you need close by.